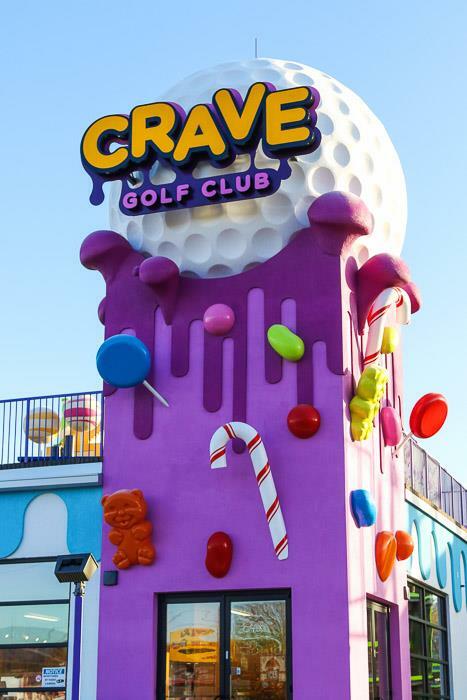 Bring your sweet tooth and your A-Game to Crave Golf Club. 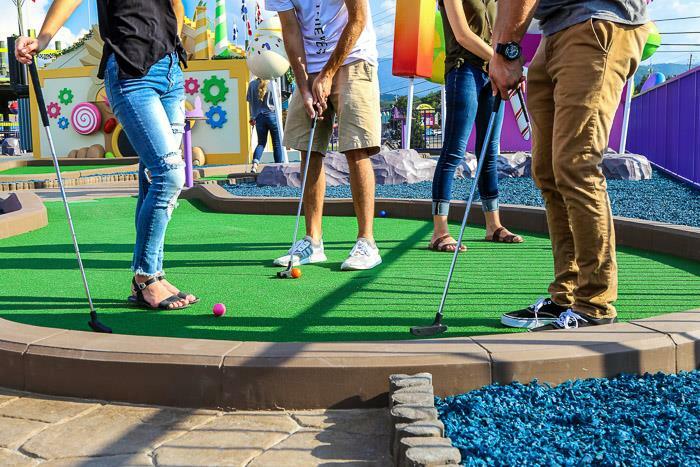 As Pigeon Forge’s only 19-hole indoor mini-golf course and 19-hole rooftop course, Crave Golf Club adds another layer of fun and excitement to mini-golf. 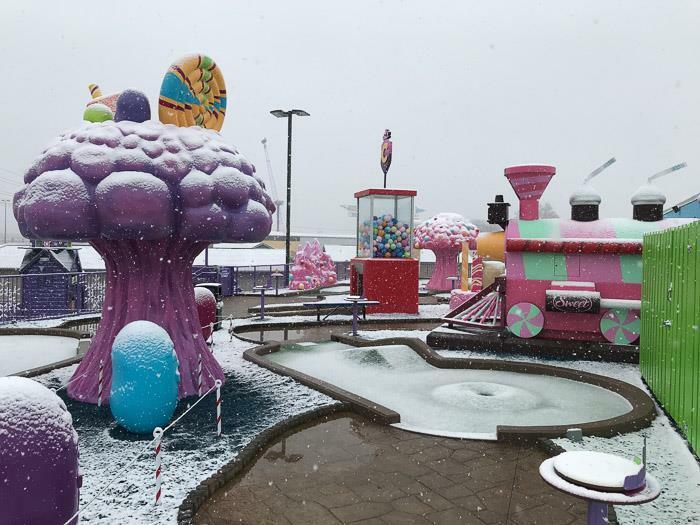 While there, satisfy your sugar cravings at the milkshake bar and sweet shop! 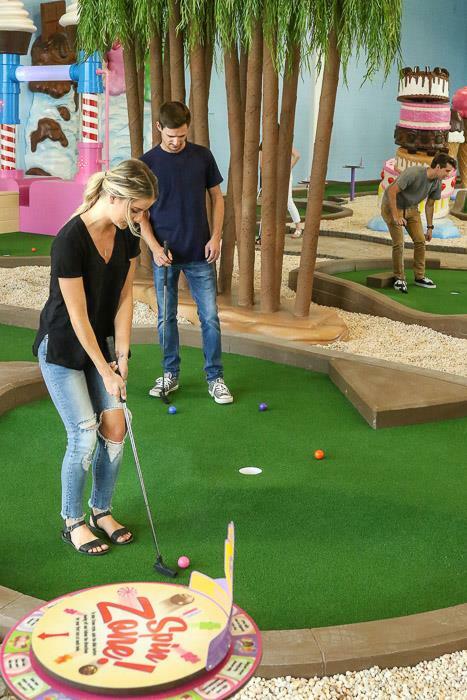 Other activities include mini-bowling and more. 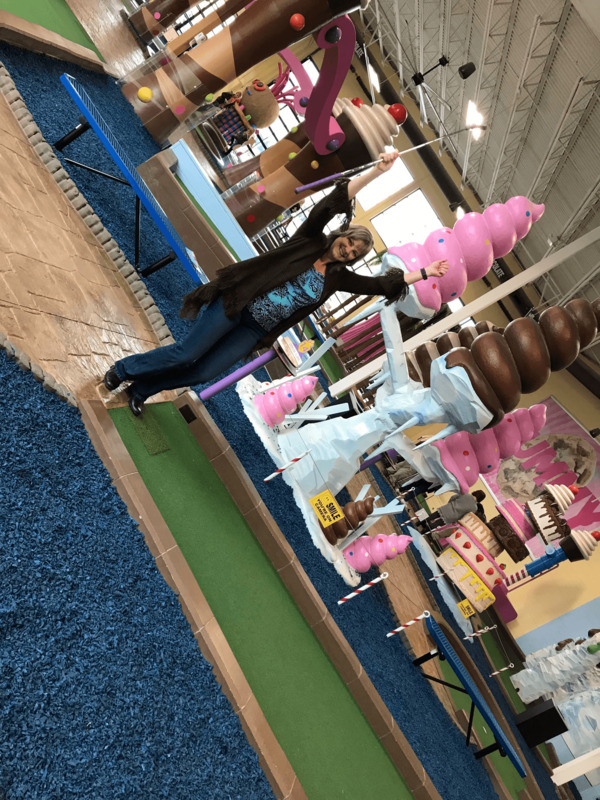 There’s no need to sugar coat how much fun this course is! 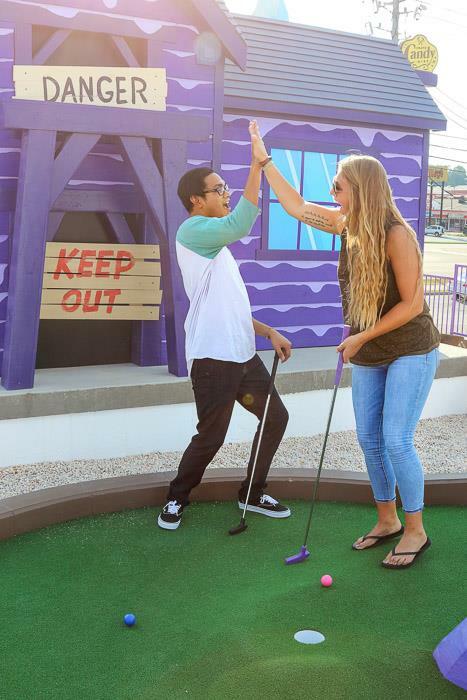 All mini-golf courses are handicap accessible. Up to six people in a group are allowed. 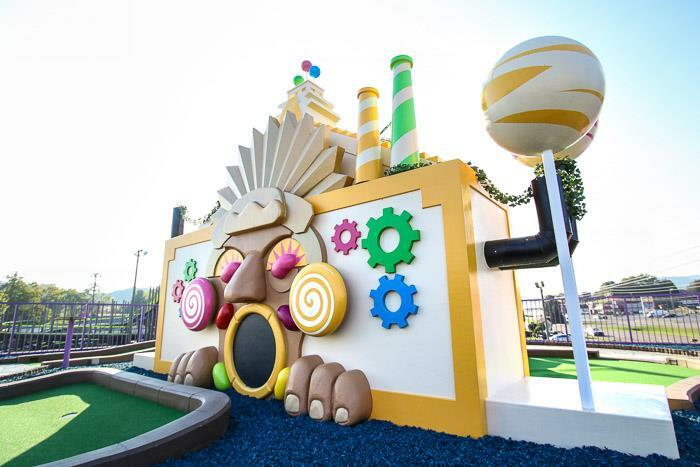 Players may take up to six strokes per hole. 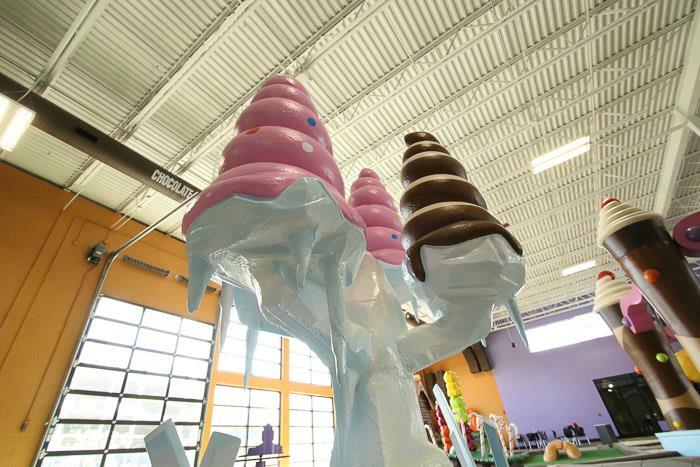 Satisfy your sweet tooth with in-store dining at the milkshake bar, sweet shop, and ice cream parlor. 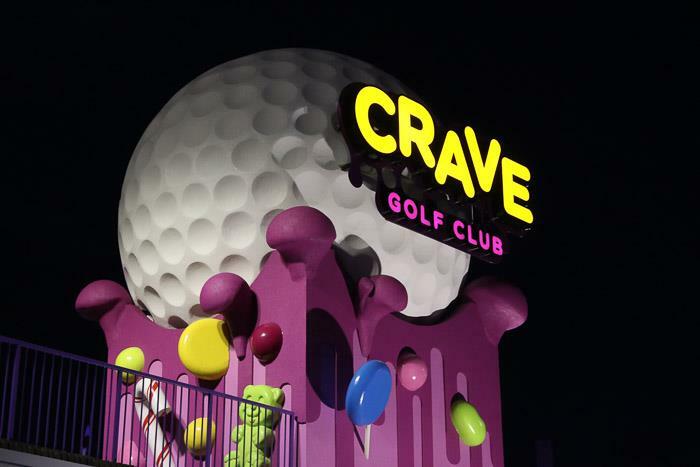 Crave Golf Club features over 18,500 square feet including two mini golf courses with 19 candy-themed holes in each both indoor and on the roof which are both fully handicap accessible. 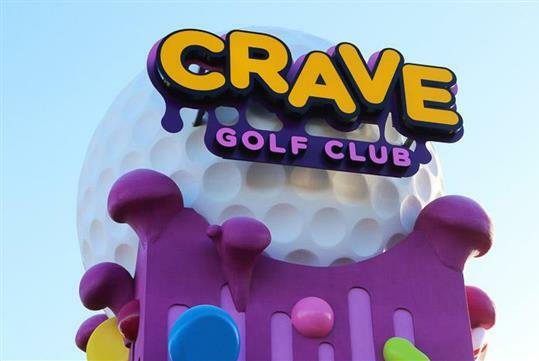 We also created a new “Crave Style” way to play. 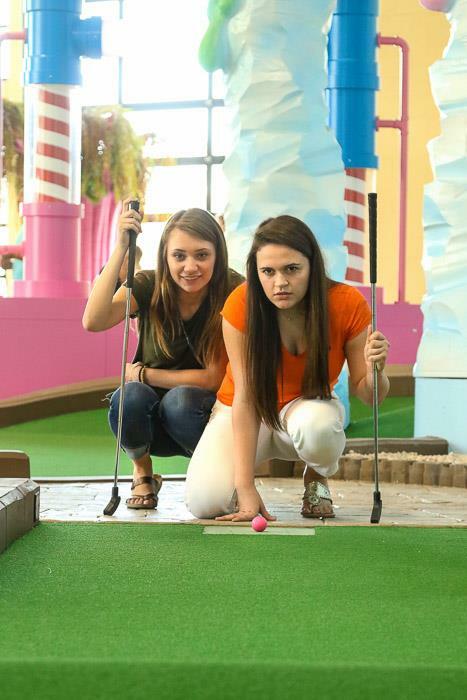 At each hole, use the spinner and add another layer of fun and excitement to your experience. 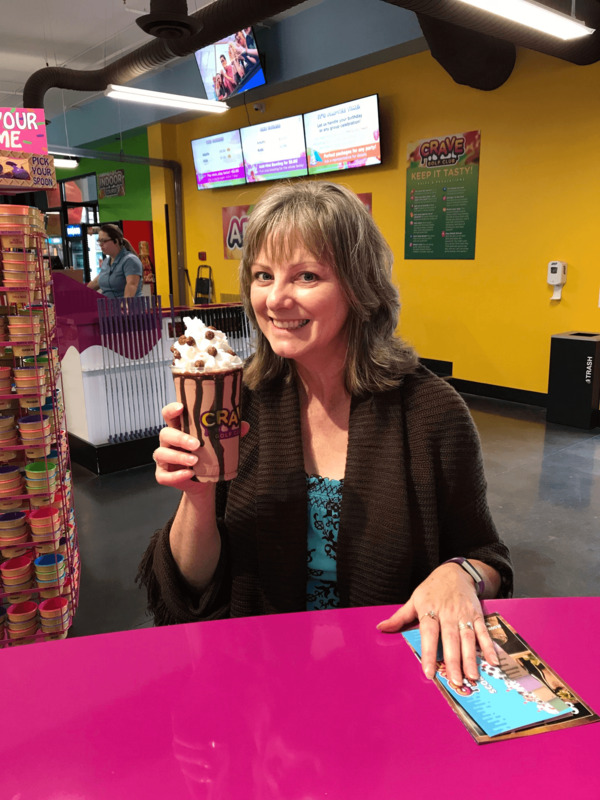 We also offer in-store dining with our sweet shop and milkshake bar creating specialty and custom shakes. 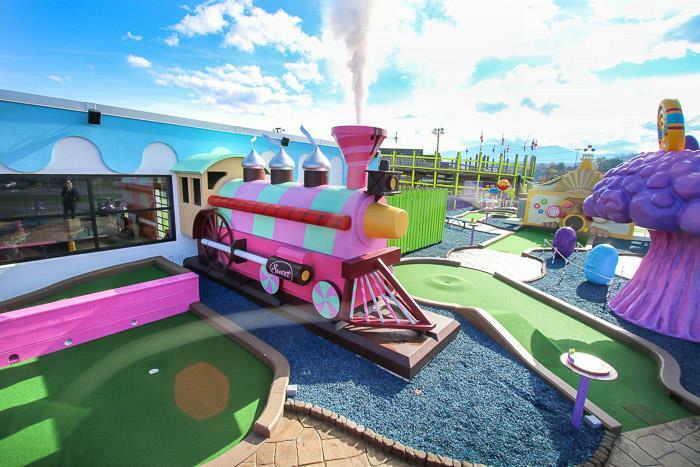 Can I play the indoor and rooftop course? Yes. 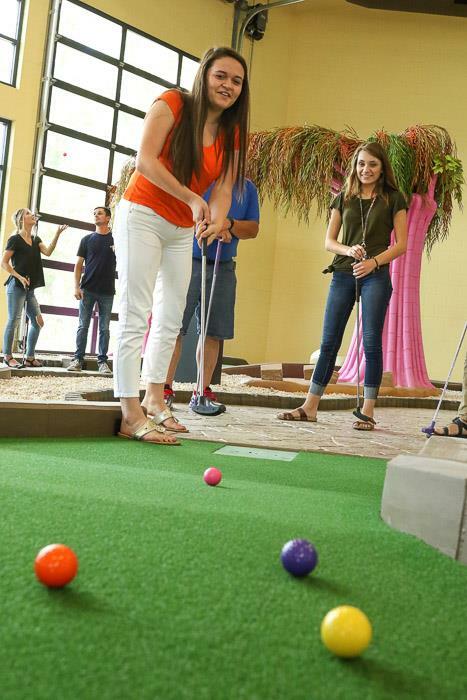 Certain ticket types allow guests to play both courses. Is this course good for kids? Yes. And, kids under the age of 3 are free. Yes. 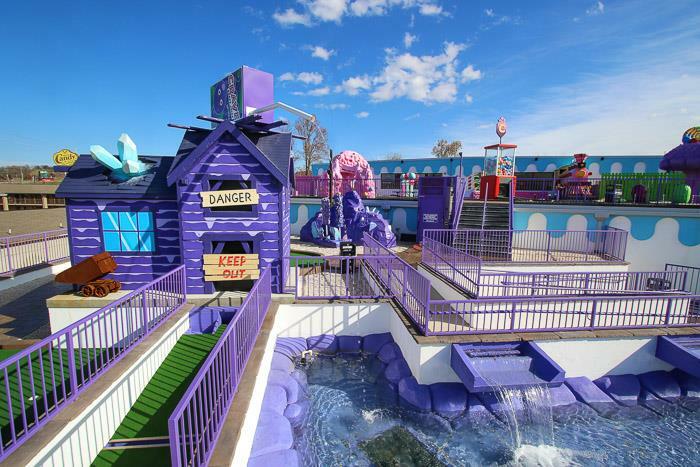 Both mini-golf courses are handicap accessible. How many holes are in each golf course? 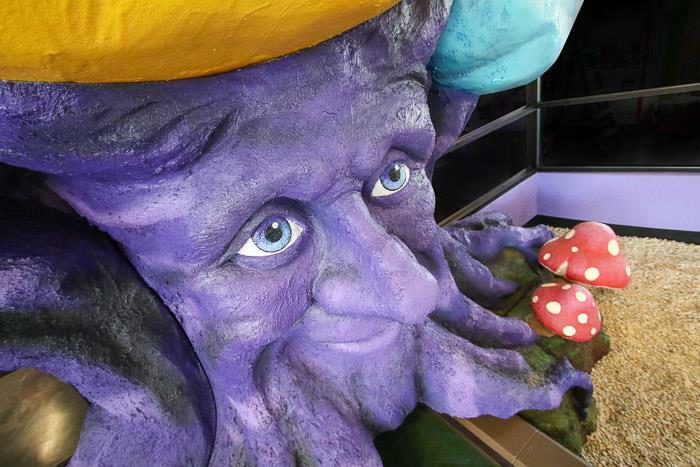 Each course has 19 holes. Is alcohol served at the sweet shop? No. No alcohol is permitted on the property. 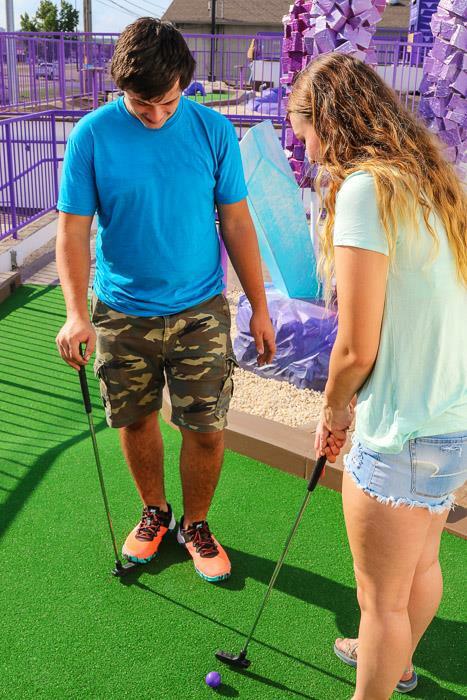 Do the mini-golf courses have rules? 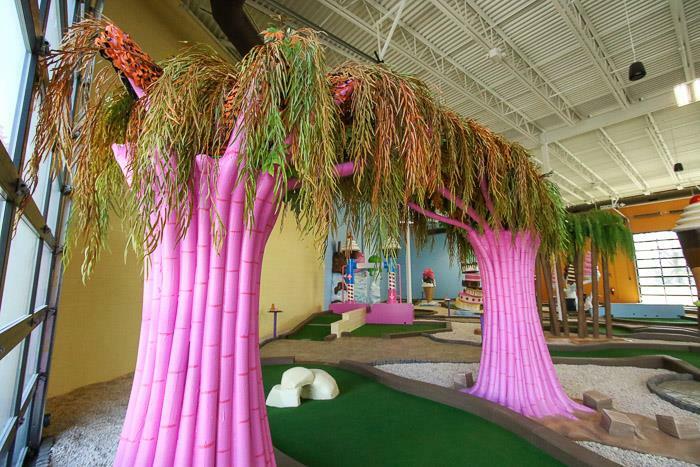 Players may take up to 6 strokes per hole. Do not swing putter above the knee. An adult should instruct children in proper club use. Each player takes their first shot before any player takes a second shot. Then, the ball nearest to the hole putts first. 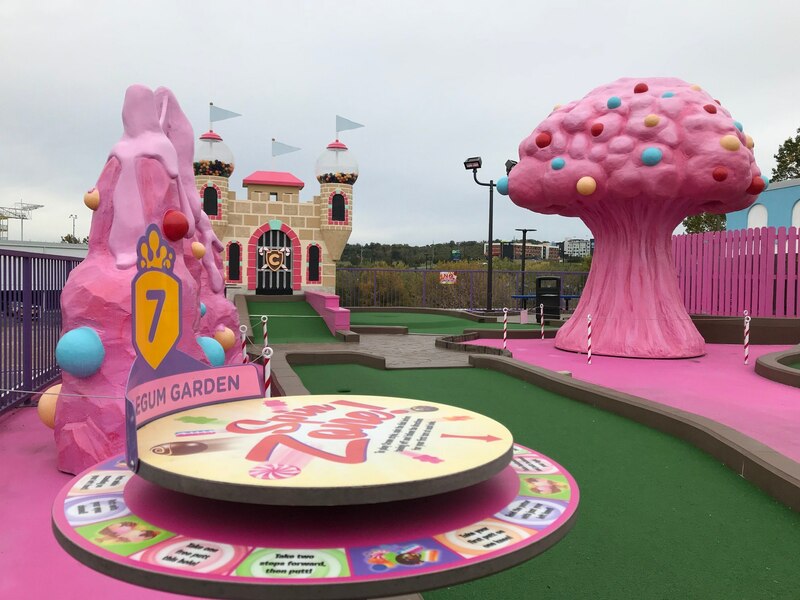 Play each hole in turn so you don’t miss any surprises! You’ll notice a Spin Zone table located at the beginning of each hole. 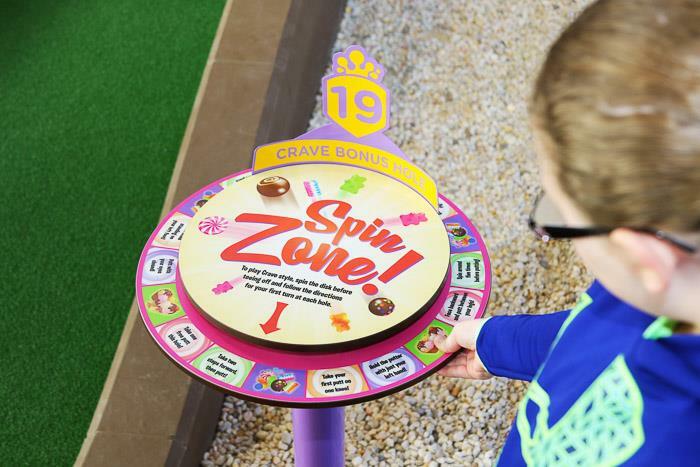 To play Crave Style, spin the disk before teeing off and follow the directions for your first turn. 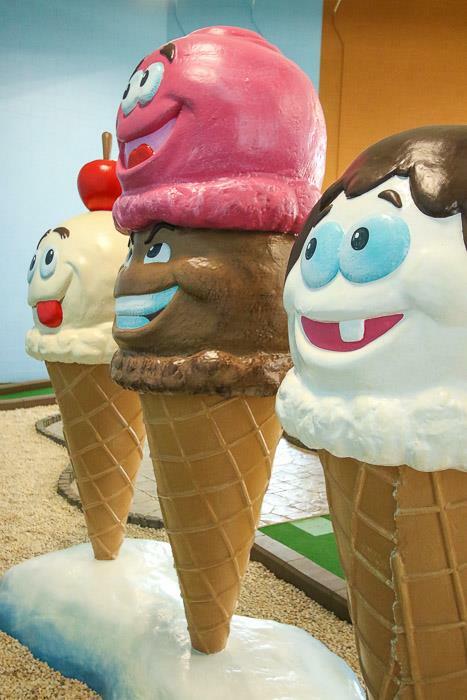 If someone in your group spins a candy or ice cream icon, mark it down. 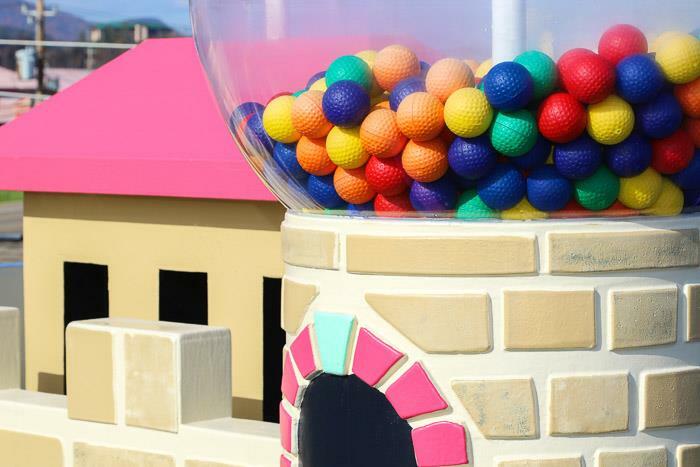 If you collect 19 candies or 19 ice creams, exchange your card for a prize at the concessions counter. Bring more people to play with you and increase your chances to win!